Anytime there is a storm of any significance, fraudulent contractors and disreputable claim adjusters flood the area with mailers, fliers, door hangers and sometimes go door to door. 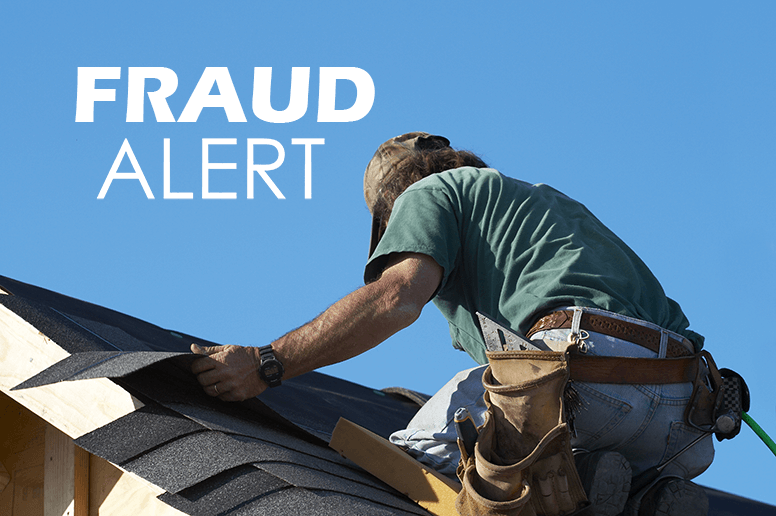 They will say they are replacing other roofs in the neighborhood, or they claim they can see damage to your roof. They promise a no hassle process and that they will handle everything with the insurance company and that you won’t even have to pay your deductible. Do not fall for this! Even John Morgan of Morgan and Morgan runs ads warning of this. If you think you have a claim report it to our office or to the insurance company directly. It is safe to assume that ANY contractor asking you to sign an Assignment of Benefits contract without first having worked out the extent of damage, scope of work, and estimate of the completed work with your insurance company is simply taking advantage of you.